Batman’s Brother, Can You Spare A Dime? Yes, it’s been a while since the last update. Seems like I write that for pretty much every entry, but you know, I’m lazy. Hey, I’m not much, but at least I’m honest. So, I’m sure many fans of the Batman universe have enjoyed the first story arc in the Batman (New 52) series, which culminated in issue #11. Seems there was a secret society called the Court of Owls who were entrenched in Gotham for about as long as the Wayne family without Batman ever knowing about it. And for some inexplicable reason they decide to stir up a hornet’s nest of trouble for Gotham at this moment in time. Why they didn’t just take over the city back when it was a one horse town I have no idea. It certainly would’ve been easier than dealing with the Batman and a population in the millions. And you know what, all through this issue I had a feeling that I read something like this before. I could have sworn there was another time that the Batman had an EVIL brother (and no, I wasn’t getting confused with Batwoman and her evil twin sister, or Kobra had his good twin brother, or Barbara Gordon and her psychopathic brother – all things I’ve already posted in this site and available in the Archives). Going through the stacks I (eventually) succumbed to severe spinal trauma – but NOT before uncovering what my mind was telling me was always there. 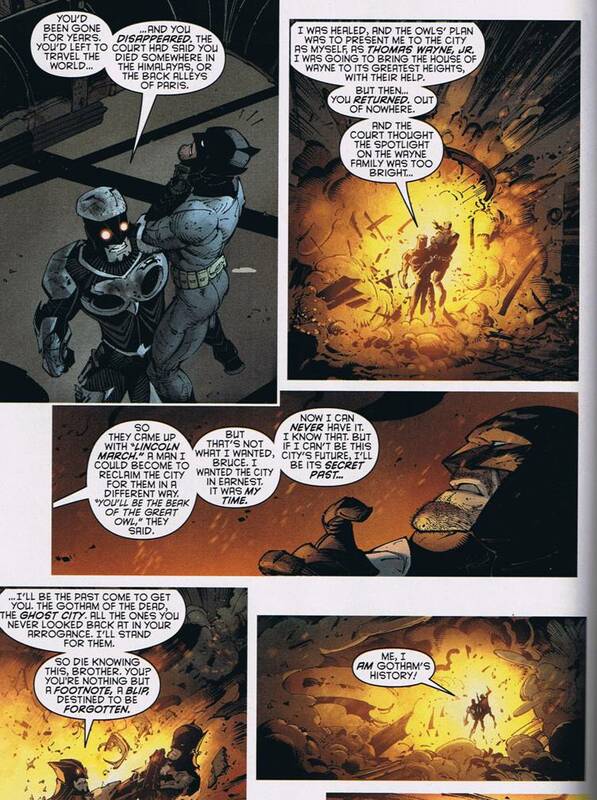 And there you go, Bane is Batman’s brother! How’s that for a plot twist? So how could Bane be Batman’s brother? 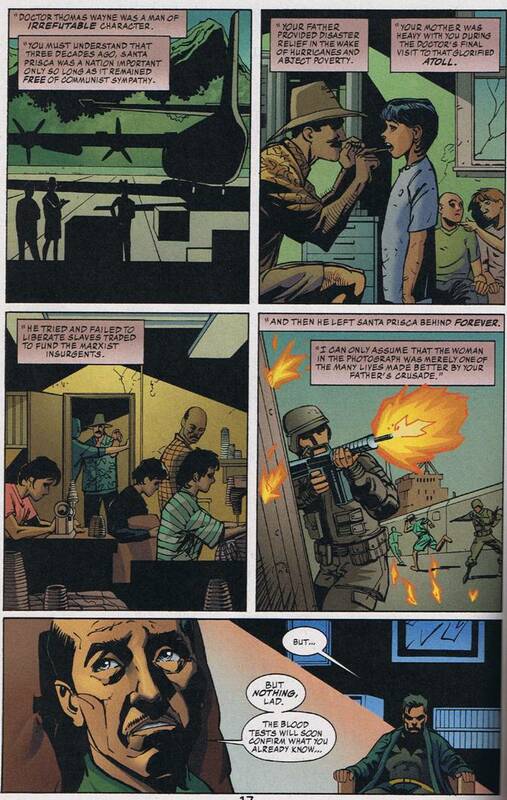 Wasn’t Bane born in a South American prison and Dr. Thomas Wayne, Bruce Wayne’s dad, lived in Gotham City, USA? While I’m no expert, I’m pretty sure that the USA isn’t part of South America. 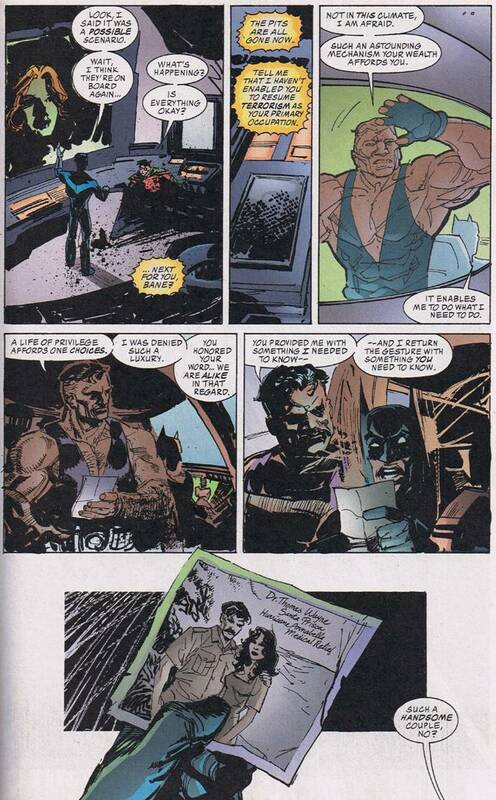 Unlike the entire Court of Owls story, a blood test was performed and it was shown Bane wasn’t really Batman’s brother, much to everyone’s relief. 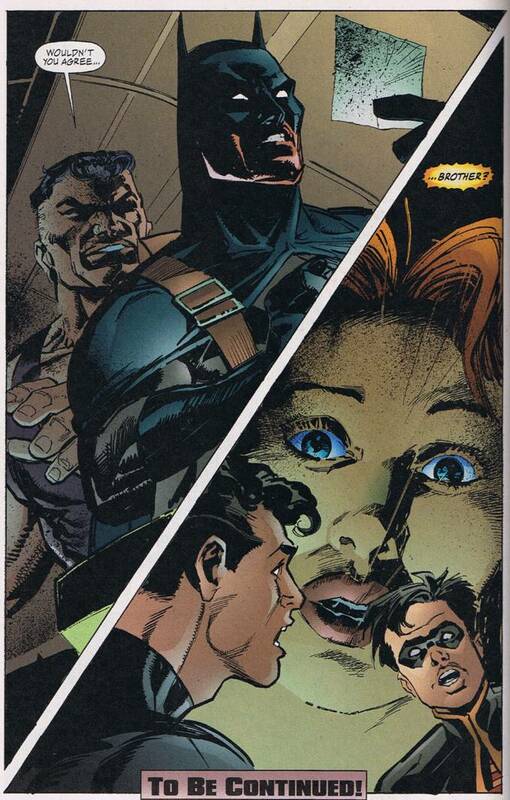 Of course, since this is a comic book, if enough people clamored for it, DC Comics could’ve easily rewritten that part and we’d have a completely different Batman family dynamic going on. That would make 2 evil brothers Batman’s had to deal with over the past decade. 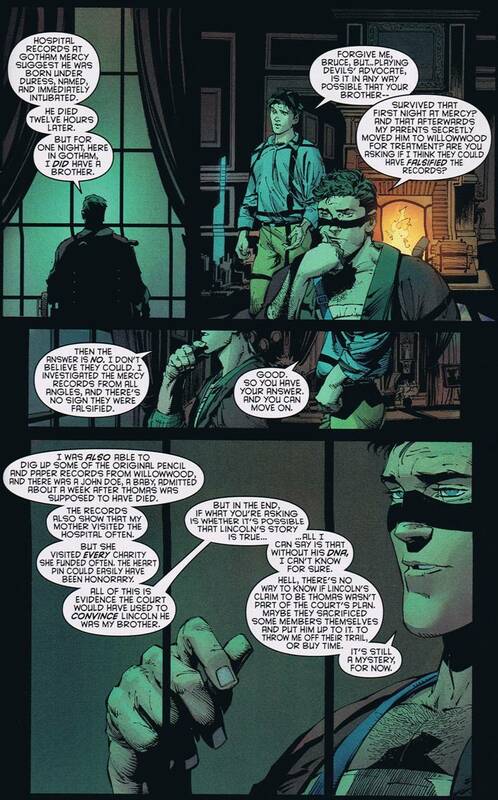 Factor in the current Robin, Damien Wayne (the son of Bruce Wayne), a highly trained assassin and brat – and Damien’s spurned mom, Talia Al Ghul, who seems bent on destroying Batman and everything he holds dear, and you’ve got one really messed up family. Of course things could be worse. They could’ve made an even more garish villain Batman’s brother. Imagine if, say, the Joker were revealed as Bruce Wayne’s brother. Well, they actually did that one too. If you ever have the chance pick up a copy of the Batman/Lobo Elseworlds one-shot by Alan Grant… one of the goofiest endings I’ve ever read.